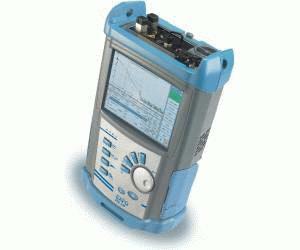 The FTB-150 is a fast, powerful, lightweight solution from the OTDR industry expert. It can house any of the EXFO singlemode and multimode OTDR configurations designed to test at up to four wavelengths. Choose from various combinations featuring the 850, 1300, 1310, 1490, 1550 and 1625 nm wavelengths—covering all fiber applications from long-haul and WDM to metro, FTTH and LAN networks. All EXFO OTDR configurations provide a stable light source, as well as the option of adding a visual fault locator. Featuring the shortest dead zones of the industry, and the fastest acquisition, processing and reporting routines, the FTB-150 is designed for top efficiency in the field. Whether you need to carry out tier-2 certification of premises networks, characterize your links during construction and installation, or perform fast, efficient maintenance and troubleshooting testing, the FTB-150 Compact OTDR delivers the performance you need. Ideal for access and FTTH network testing, the short-range OTDR configurations offer an exceptional 1 m event dead zone, letting you characterize all events between the transmitter and the central office’s fiber distribution panel. 1x32 splitters—perfect for passive optical network (PON) testing.